Bad Habeat presents “Selected Aphex Twin Works”, DJ Food marks the 25th anniversary of Selected Ambient Works Vol. 2 with an audiovisual show that serves up classics and obscurities from the Richard D. James vault. 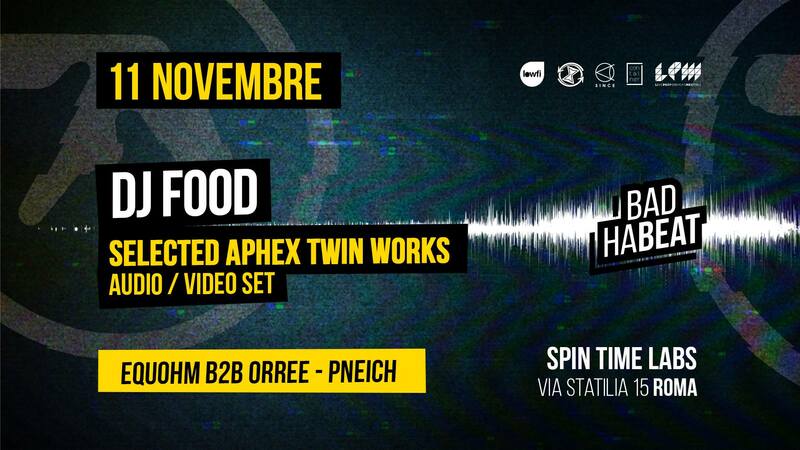 Following the debut sell out show down in London DJ Food brings his ‘Selected Aphex Works’ show to Manchester. With the 25th anniversary of Aphex Twin’s ‘Selected Ambient Works’, it seemed the perfect time for DJ Food to dig up some old classics and forgotten gems from Richard D. James’ seemingly infinite back catalogue and bring them to life in a way like no other with an immersive live audio visual set. For fans of either Food or AFX it’ll be a truly unique experience but fans of both are going to be simply blown away. Unmissable.